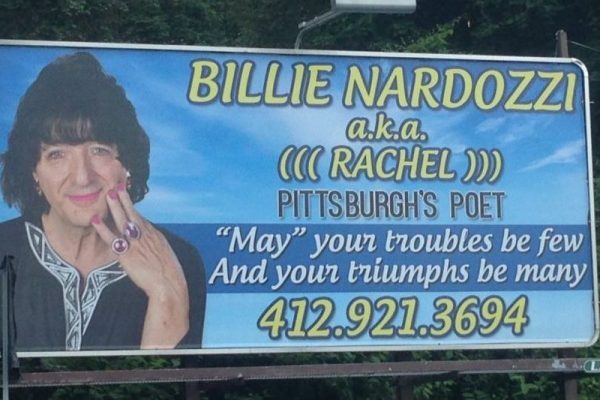 Pittsburgh’s self-styled Premier Poet answers the door in a shimmering, jewel-blue blouse, hair teased into a softer version of a mullet. He’s wearing understated make-up and a mild perfume, something between vanilla and baby powder. On his fingers, rings set with blue jewels catch the early evening light.